Logan is in his mid to late 20's. 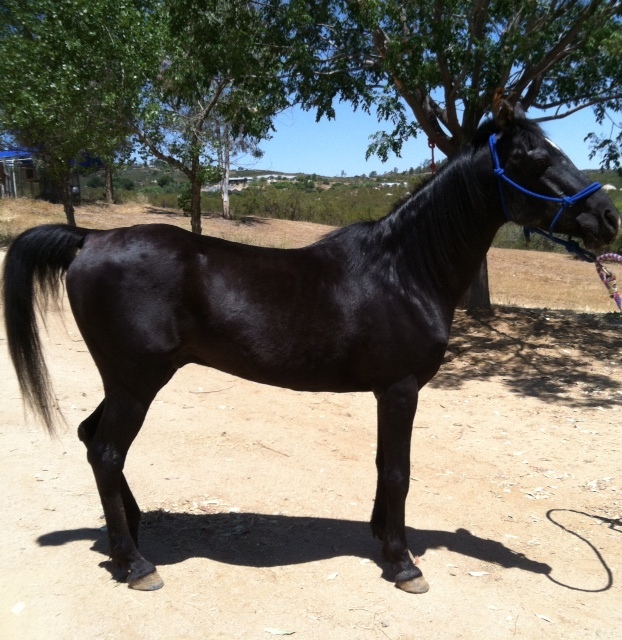 He is a handsome Arabian cross and 14 hands. 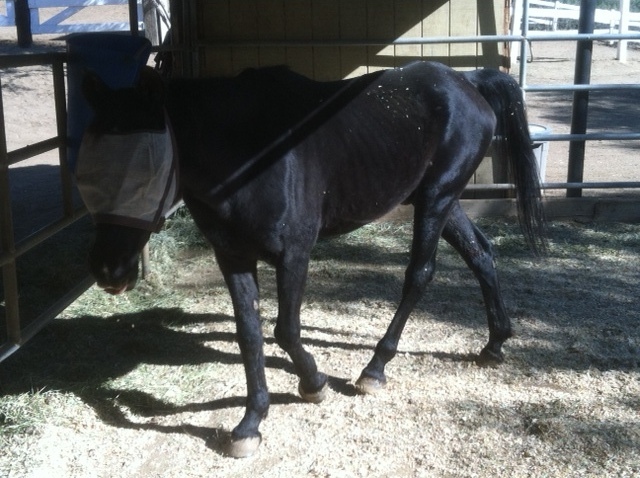 He was originally rescued from a hoarding situation in Anza (where Mouse came from) but new owner was no longer able to afford his care. He arrived to Toby's Legacy with a body score of 1-2, with teeth in bad shape and overgrown feet. 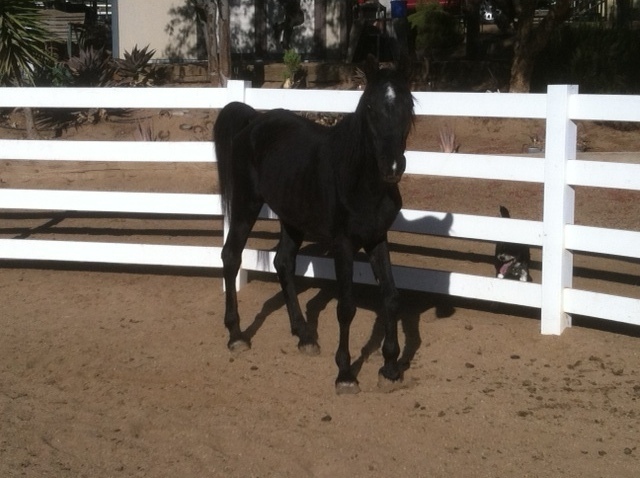 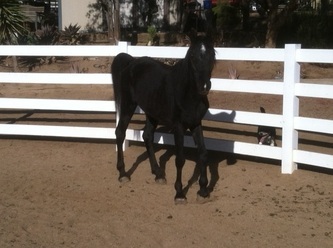 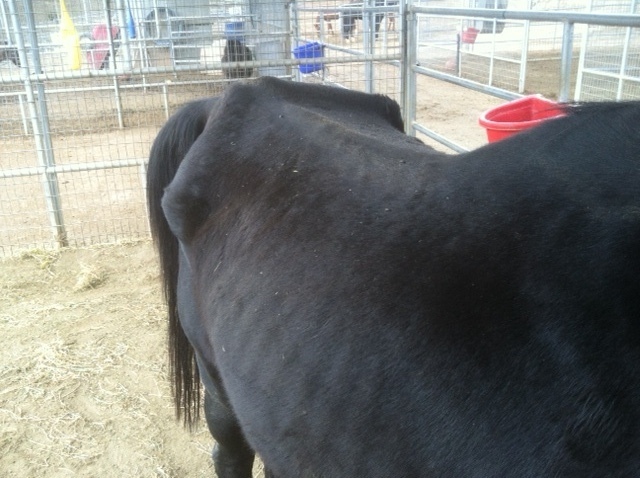 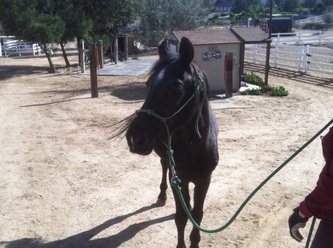 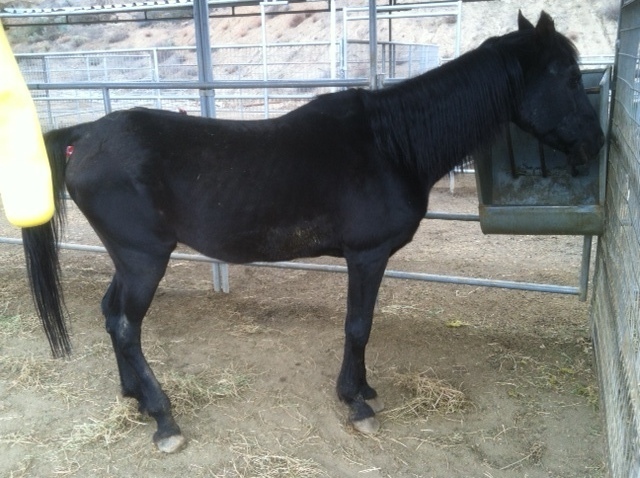 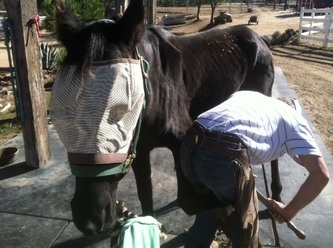 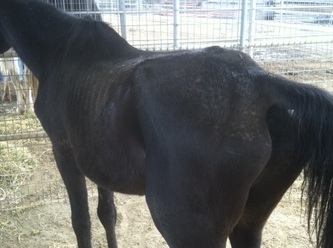 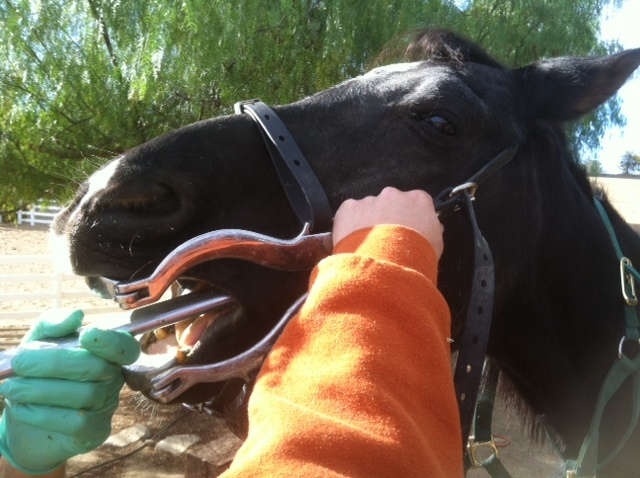 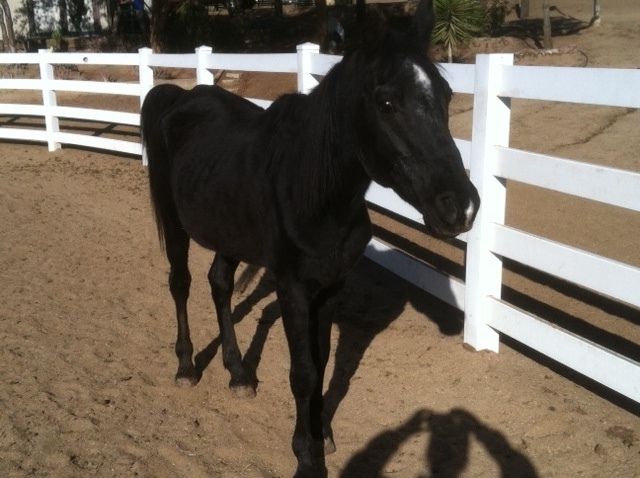 Logan was gelded on November 29th and had was floated and trimmed December 13. Logan is the perfect gentleman! 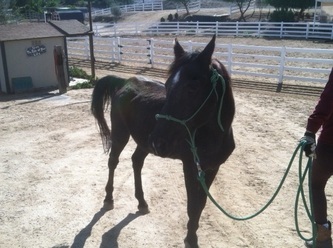 He stands tied, behaves for farrier, trailers, leads, tacks up perfectly. 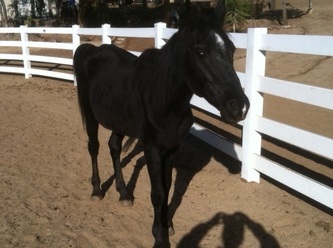 Will do whatever you ask and this sweet boy gets along with everyone. 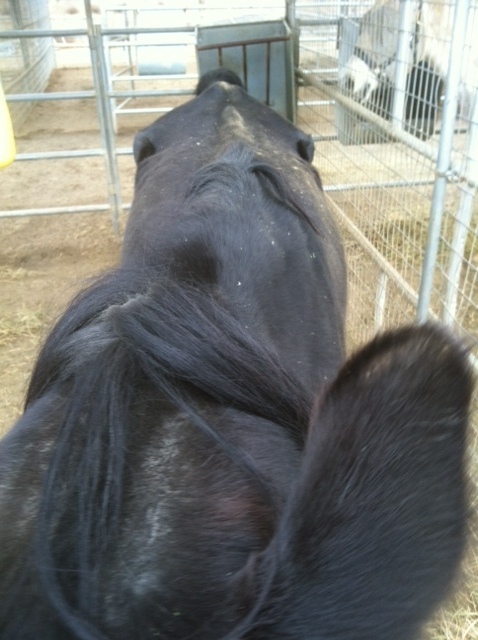 He is just the best guy!